Analytics such as absorption, occupancy, lease rate and sale price trends, etc. Xceligent's research data is available on two platforms: Online using CDX Pro and on iPad using its eXplore app. CDX Pro is a commercial real estate research and marketing platform fueled by first-generation research from hundreds of field and call-center based staff. Xceligent starts by virtually site inspecting properties using satellite images to jump-start their field research efforts. Then, onsite inspections are conducted to verify hundreds of property characteristics, identify listing contacts, and collect photos. Re-verification is done on a periodic basis to ensure accuracy. Even then, the Xceligent is far from finished. Field research data is turned over to centralized office-based teams for validation and ongoing maintenance. Among other things this includes identifying true ownership, maintaining current availability, and verifying each tenant. For a more in depth perspective on the amount of research conducted on the part of the CDX Pro team, click here. In the end, the data represents one of the most complete and accurate collections of market information available. Xceligent’s eXplore app is basically an paired down version of CDX Pro, but it is free for subscribers to download for you iPad users out there! The eXplore app displays the same property inventory and availability information found in CDX Pro. It is uniquely designed to be geo-aware by providing immediate access to relevant property and market information based on the user’s GPS location. The eXplore app is an efficient and convenient way to access research data in the field. Xceligent currently covers 40 markets, but is planning on an expansion to 65 in the near future. While access to the eXplore app is free, the pricing for CDX Pro varies from market to market. CRE Tech virtuoso Michael Griffin, who in addition to serving as the CPO of Xceligent, is the President/CEO of ClientLook, a cloud-based CRM, seems to be the right captain to man the ship towards the company’s quest for expansion. Only time will tell in terms of Xceligent’s ultimate success in the battlefield that is the CRE tech sector, but one thing’s for sure, they’ve got boots on the ground and are ready for war. For more information on Xceligent, visit their Company News Channel on The News Funnel or their YouTube channel. 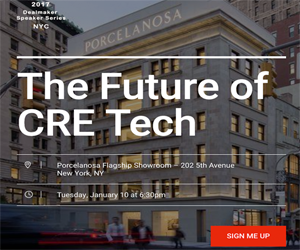 For more insight of Michael Griffin’s personal philosophy regarding commercial real estate technology and innovation, check out his personal blog.